People who have had a problem lingering for some time and have only had temporary relief with physical therapy, chiropractic treatment, massage, acupuncture, and home exercise programs often get longer lasting relief with trigger point injections. I have been doing these on various muscle groups in the body for over 15 years and it is an integral part of my practice. This technique has been used successfully since the 1940’s when it was introduced by Janet Travell, MD, who was JFK’s personal physician. Not everyone needs to have it done, and the goal is to avoid them, but as many people experience, most treatments work well temporarily but don’t completely eliminate the problem. 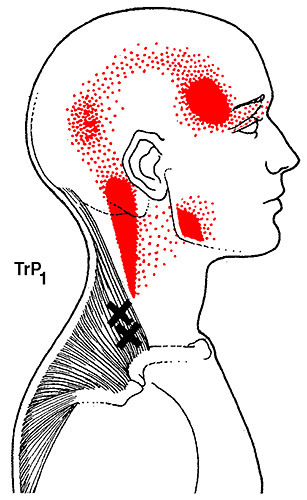 What the trigger point injections do is break up the muscle spasms from the inside by inserting a thin needle into the “triggered” muscle and then inserting preservative free procaine (like novocaine) to physically push the fibers open and stop the abnormal nerve signals to the damaged muscle. This technique can have profound, lasting changes in muscles that may have felt tight or were considered unfixable for months or years. Even though there is some pain for 1-3 days following the shots, the pain from the injections is not severe, and patients can return to work the same day as the shots. 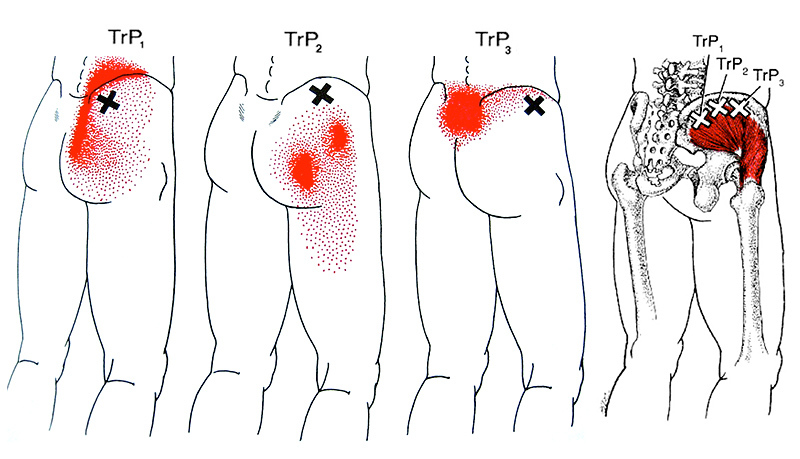 The two most common areas that I inject are the trapezius muscle at the top of the shoulder, and the gluteal, or hip muscles next to the low back and tailbone. 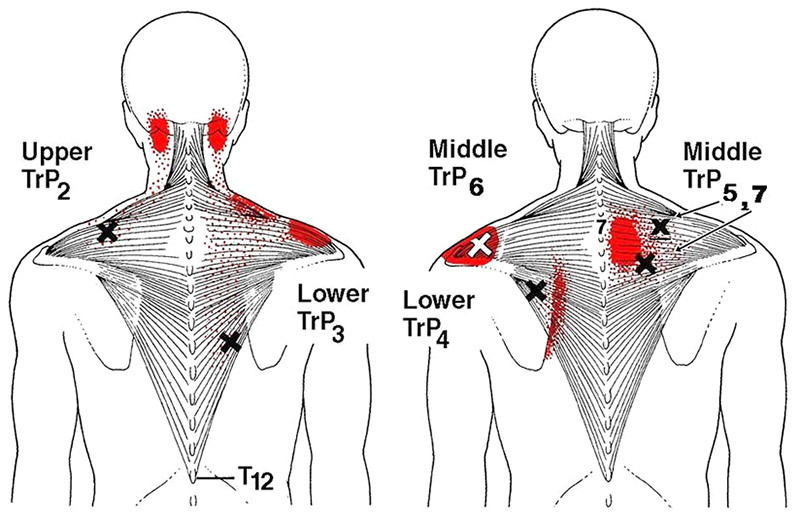 The trapezius trigger points are very common in people who work at a desk or do repetitive activities and is a major contributor to upper back, shoulder, neck and headache pain. The gluteal muscles are some of the most powerful muscles in our body and are often tighter on the right side because of all the driving we do. These hip muscles, especially the gluteus medius, or “middle” glute, is a major hidden contributor to low back pain and is often overlooked in traditional treatments.